Automation for document processing country. This program regularly checks input folder and find PDF for processing. It detects barcodes or QR codes and save the detected part with relevant name. It can create PDF dynamically and also prints silently. 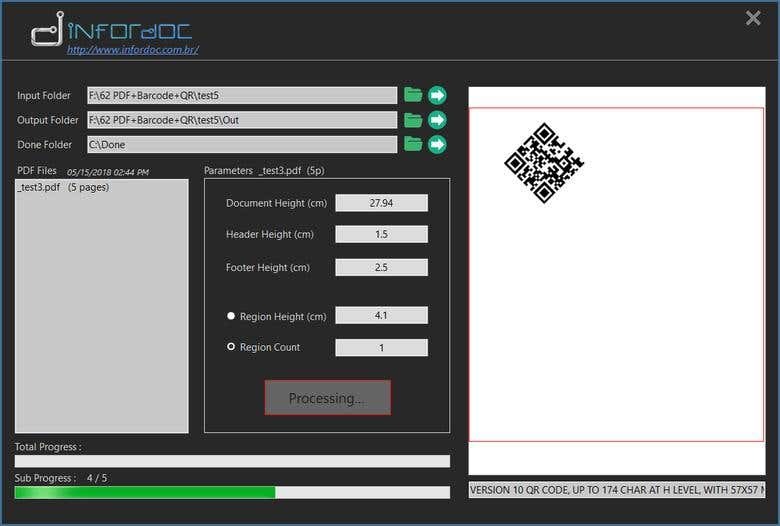 It can generate barcode and QR code.